Once your order has arrived at our scanning center, we will check the integrity of the media and the approximate number of formats expected, which we will confirm with an automated email. Afterwards your films or video tapes will be checked for damage of their functionality. If the damages are too strong or if we can not digitize the format for other reasons, we will send these tapes back to you free of charge. 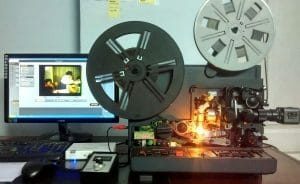 Before we start digitizing your films and videos, your films or videos will be thoroughly cleaned, as this is the only way we can guarantee a high level of video and film quality! For example, your Super 8 tapes are cleaned twice with a special liquid so that no dust or dirt sticks to the tapes. The final preparation step is the trial run of your analogue media. If the image quality is too bad, we point out and digitize only after your approval. 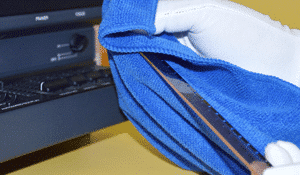 When digitising Normal-8, Super-8, and 16mm tapes, we use the direct-sampling method. This means that we do not film your films from a screen, but rather capture the image with a special camera directly on the projector, so that image noise such as flickering or stray light are minimised. 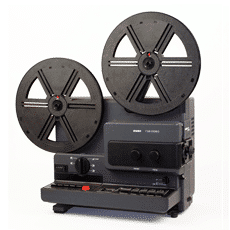 This camera has been specially developed for the digitization of these film spools and has 795 × 596 pixels and thus a resolution of 520 TV lines (color). 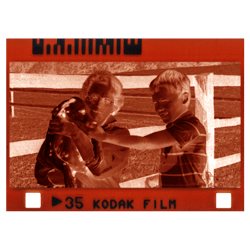 Your films are digitized under the constant supervision of our employees and the brightness and sharpness are adjusted individually for each film. 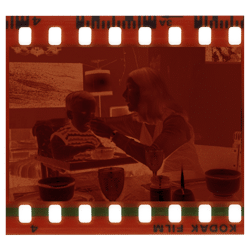 For an optimal result, we also digitize your films with color and brightness corrections. During digitisation, an employee reviews your movies for interruptions, flickering, noise, or other errors. If these occur, they will be expertly removed by us. 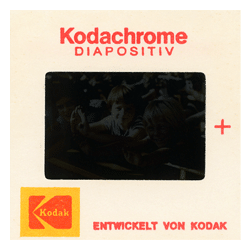 Flicker removal is a technique used in the digitisation of VHS / VHS-C cassettes. The flickering or lines in the picture or audio problems occur if the synchronisation does not work properly. The older the tapes are, the more there is a risk that the video tapes are worn out, which is also noticeable in the synchronization. In order to correct these picture and sound disturbances, the synchronisation (tracking) must be readjusted or adjusted. The noise minimisation is carried out after the digitisation of your analogue media. This process is software-based allowing sound noise to be minimised through the use of a professional application. 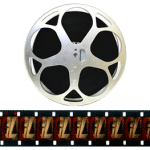 After the digitisation, we will create different chronological chapters for your film on a video DVD in the universal MPEG2 or VOB autoplay format (AVI, MPEG4, MOV and others are available on request). The correct sequence of the above measures allows us to refresh your tapes and the segmentation allows you to enjoy the movies as you like on your tablet, laptop or TV. 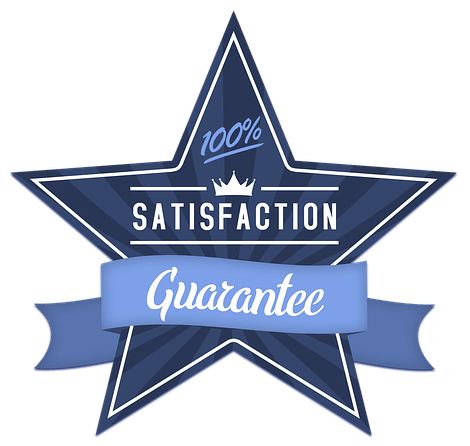 If you are not satisfied with the video & film quality, we will repeat the conversion, in accordance with our satisfaction guarantee. 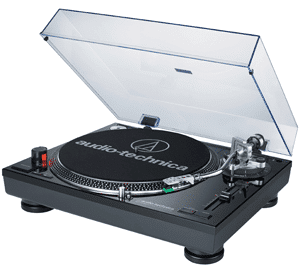 Afterwards your audiotapes, records and music cassettes will be checked and cleaned for damage and functionality. If the damage is too strong, we will return this media to you free of charge. The final preparation step is a trial run of your media using the Audacity software. If the sound quality is too bad, we will let you know and digitise only after your approval! 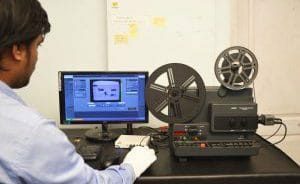 As with movies and videos, your tapes and records are constantly monitored during digitisation and, if necessary, the sound quality adjusted. We have real-time digitisation – not accelerated playback – and this benefits the quality. After digitisation, our employees remove existing idle spots and suppress as much as possible of the background noise, through the use of digital filters. Finally, we save the now edited file either in .MP3 format or .WAVE format. For the digitisation of Super 8 videos we use the Bauer T280 and T510 projectors which support a recording speed of 18-24 frames per second. The Bauer T280 projector is a 2-in-1 projector that also supports the digitisation of Normal8 movies.The Bauer T510 projector supports the recording of film material both with and without soundtrack and is therefore suitable for various film material. For the digitisation of 16mm films, we use the Bauer P8 projector, which also supports a playback speed of 18-24 frames per second. All our projectors are rebuilt devices equipped with SD cameras for direct digitisation. 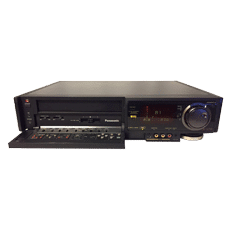 The VHS recorder Panasonic NV-FS200 HQ is ideal for the digitization of VHS and VHS-C cassettes, because these recorders have the so-called TBC “Time Base Corrector” tool built in, with which temporal fluctuations of the image signal balanced and thus your videos can be digitised in the best quality.